A Guardian ad litem is a person appointed by a court to protect the interests of a child (or a person who is mentally incompetent) during the course of litigation. In family litigation a Guardian ad litem is most often used in cases in which both of the parties assert that they should have primary custody of their child or children. 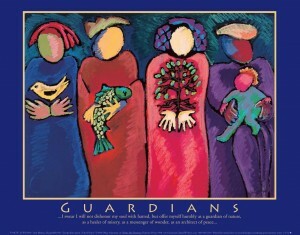 A Guardian may also be appointed when the litigation raises questions regarding parenting time. The Guardian conducts an investigation regarding the situation, working to get a good understanding of each party’s strengths and weaknesses as a caregiver and what the child’s life is like in each household. The Guardian makes recommendations to the parties and to the judge regarding the best custody plan to put in place. These recommendations often help the parties reach agreement regarding what the custody arrangement should be. If the parties do not reach agreement, and the case goes to trial, the Guardian usually testifies at trial regarding the results of her or his investigation. Who Does the Guardian Represent? The Guardian does not represent either party. Instead, it is the Guardian’s responsibility to represent the best interest of the child or children whose custody is at issue. The Guardian works to provide the Judge with an objective assessment of which custody arrangement would serve the child or children’s best interest. It is important for a Guardian ad litem to be both thorough and objective in conducting the investigation. How Does Georgia Lord Approach Her Guardian ad Litem Work? Georgia does not operate from assumptions or stereotypes; her experience working for a Family Court, as well as her life experience, has taught her that both men and women can be skilled or unskilled, attentive or inattentive, as parents. It has also taught her that loving parents can come from almost all walks of life. Georgia approaches each Guardian appointment with a willingness to be led to whatever conclusion the facts support.